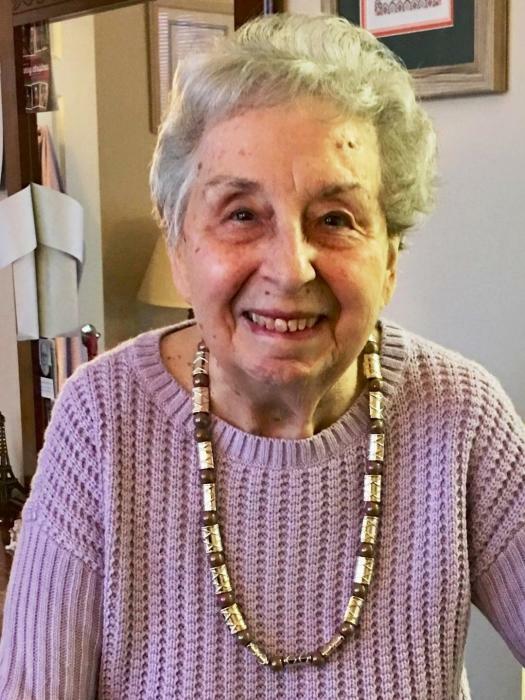 Obituary for Ann (Rossi) DiGirolamo | Magner Funeral Home, Inc.
Ann Rossi DiGirolamo, age 95, of Norwalk, CT passed away on Sunday, March 10, 2019. She was born in Norwalk on September 25, 1923. She attended Norwalk High School and had been residing for the last few years at Marian Assisted Living in Brookeville, MD. She was married to Allan (Al) DiGirolamo for 54 years. She enjoyed music, dancing, ice cream and spending time with her extended family. She always brought a smile to everyone with her graciousness and friendly happy approach to life. She is survived by her daughter, Mary Ann (Warren) Lanning; grandsons, Warren, Jr. and Allan; brother, Charles Rossi; and several nieces and nephews. She was preceded in death by her husband, Allan DiGirolamo; father, Antonio Rossi; mother, Mary Marino Rossi; sisters, Sylvia Caruso, Henrietta Pennimpede, Rose Heffner; and brothers, Hugo Rossi and Joseph Rossi. Family will receive friends from 3-5 p.m. on Saturday, April 20, 2019, at the MAGNER FUNERAL HOME, 12 Mott Ave., Norwalk. A funeral service will be held at 4:30 p.m. on Saturday at the funeral home with Fr. Paul Sankar celebrating. Cremation was performed in North Potomac, MD.